Holly (Ilex aquifolium) is an ideal hedging plant for many reasons. 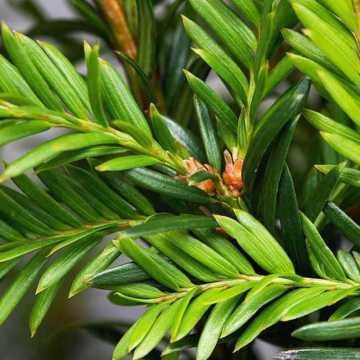 It is slow growing, so needs little maintenance, its dense form and prickly leaves are a good intruder deterrent, its berries on pollinated plants provide food for native birds throughout the Winter and it can be trimmed into a superb formal decorative hedge which provides an excellent windbreak and is also pollution resistant. 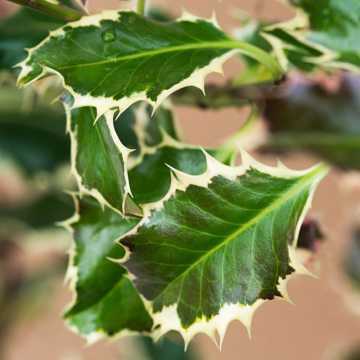 Being evergreen, Holly keeps its fantastic foliage year round providing you with year round interest and winter cover. Holly is also a very popular choice to include in a native mixed hedge (it is one of the few native evergreens) to provide some winter colour and protection for wildlife. Consider adding a number of our native plants to a mixed feature as this will create a hedge full of diverse colours, shapes and textures. You can also see our whole collection of prickly hedge plants which can be planted alongside Holly for an outstanding, intruder proof hedge. Ilex aquifolium leaves are glossy dark green and berries can be either red or orange. It grows by approx 10-15 cm p.a. and should be trimmed in autumn (and mid summer too if you wish). 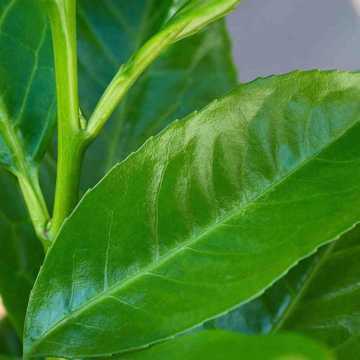 It likes full or partial shade and moist (but not wet) soil and is suitable for exposed sites, seaside gardens. 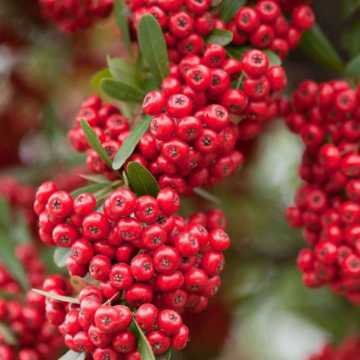 To prevent hungry birds eating all the berries (so that there are some left for Christmas decorations), tie netting over selected stems or cut a few stems in early/mid December and stand them in a bucket of water in a cool shed and they should stay fresh. Always make sure there's plenty of alternative bird food available before reserving Holly branches for the Christmas decorations please! See also our range of hedges with berries. 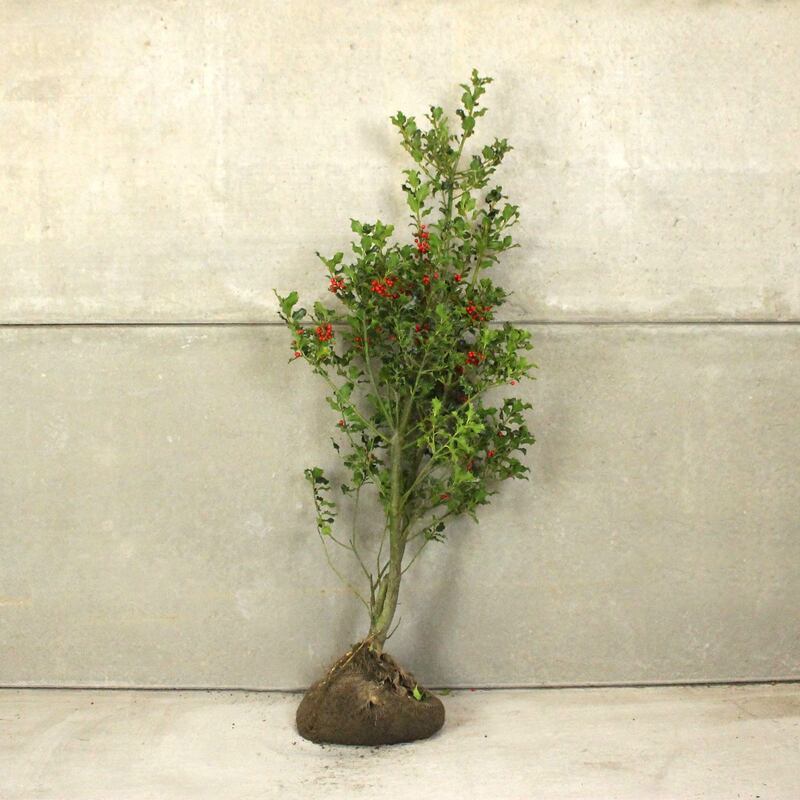 We do stock both Ilex aquifolium and Ilex aquifolium 'Alaska' when available, which is hardier and bushier then the native cultivar, Ilex aquifolium, but stock levels are entirely dependent upon the season's growth. As such, the variety supplied will be reflective of the best stock available at that time based on productive and healthy growth. 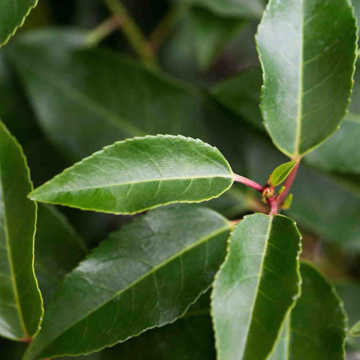 (Please note that this season we are stocking only Ilex aquifolium due to growth and availability issues with the Alaska variety) Ilex aquifolium is our traditional species and has purple stems, darker, more prickly leaves and can be slightly less dense in habit. Unlike Ilex aquifolium however, the Alaska variety isn't a native Holly species. 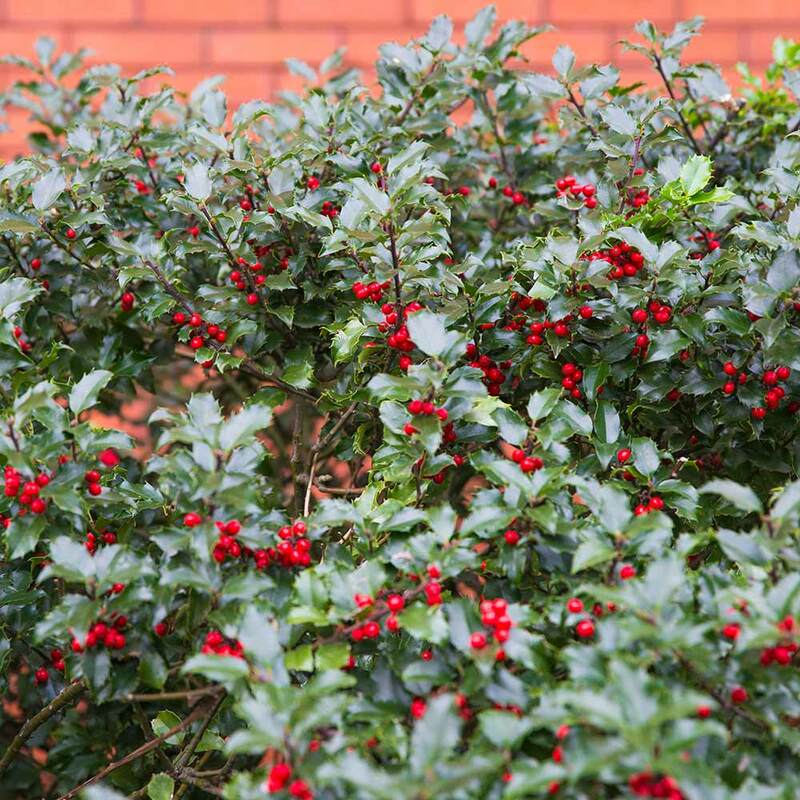 See our ultimate Holly hedging guide for more information on this fantastic species. It is best to prune Holly in early Summer to prevent new growth from being damaged by cold weather or frosts.